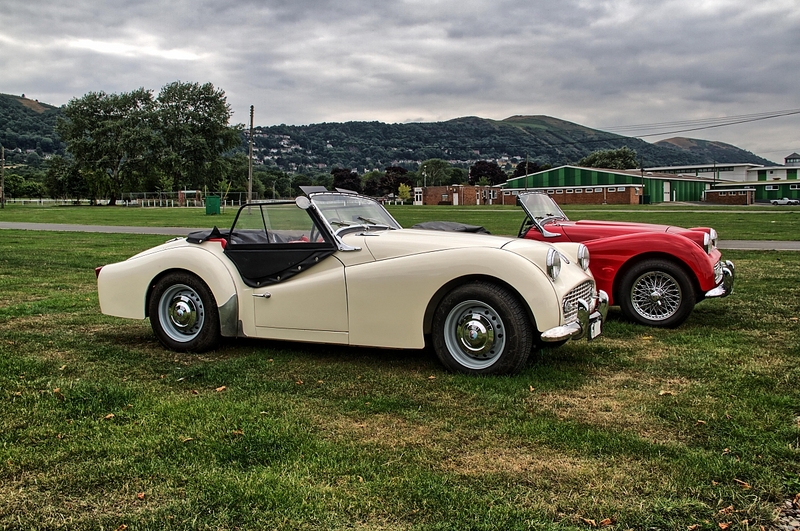 The best selling side screen TR, which took over from the TR3 in late 1957, publicly launched in January 1958. Front discs standard, with 100bhp engine. Basic not changed, recognised by the wide mouth front grille and external door handles. The larger 100bhp / 2138cc 'wet liner' engine was optional from 1959. 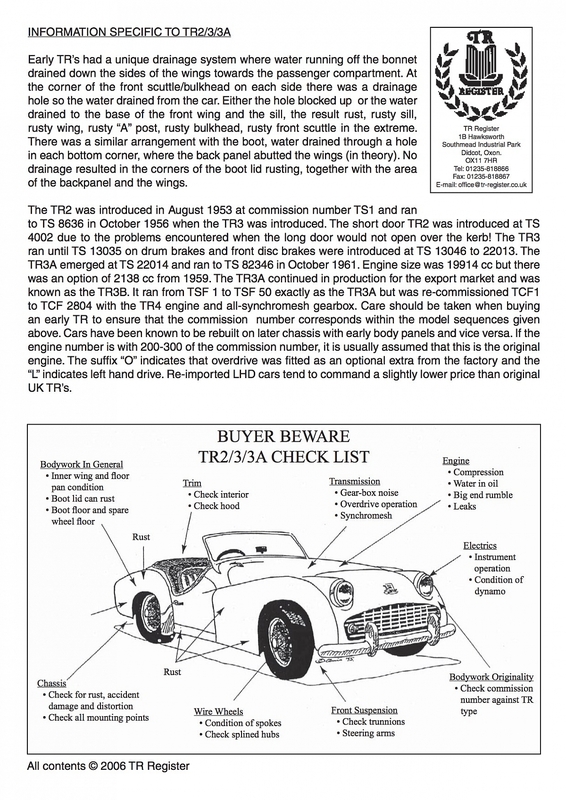 In later years hundreds of TR3As were converted to that size too. 1959 and 1960 were the peak production years but sales dropped off dramatically in 1961. 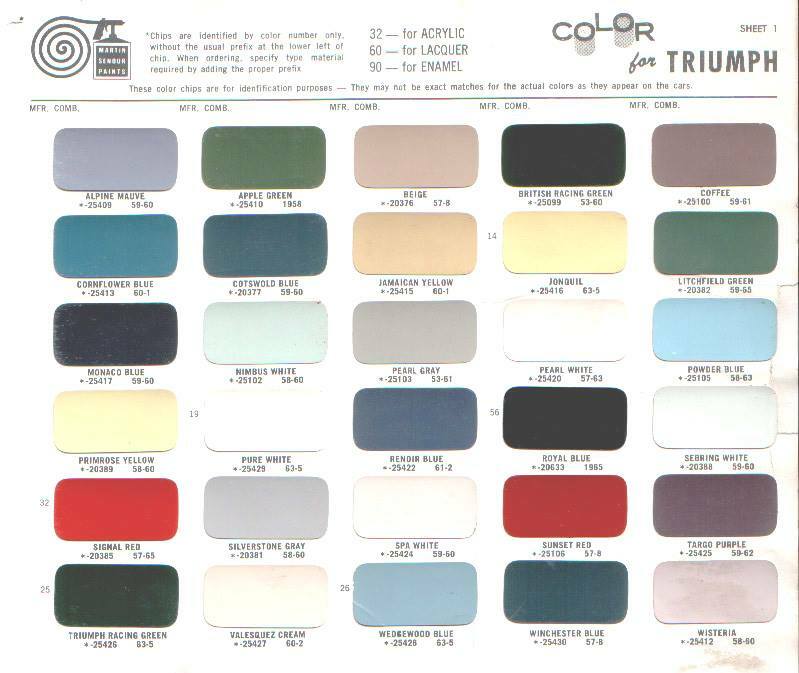 58309 cars built from 1957 to 1961. 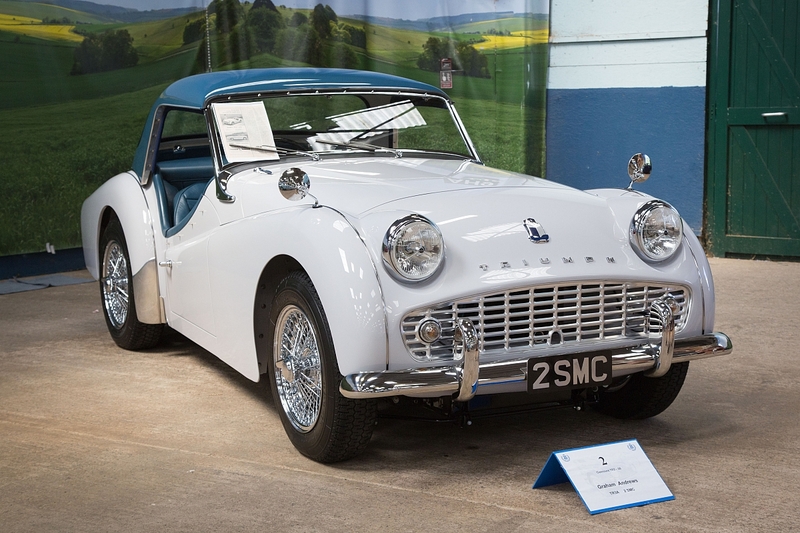 Seatbelts, overdrive, wire wheel, glass-fibre hardtop, occasional rear seat, 2138cc engine available (as TR4) from 1959.